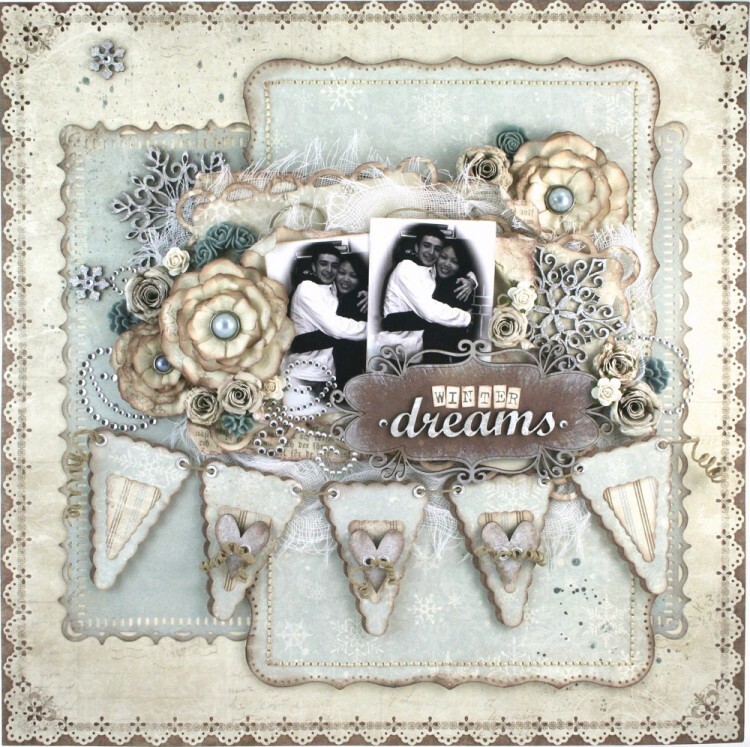 Natasha here with a layout I made using the beautiful sketch for the November Challenge. 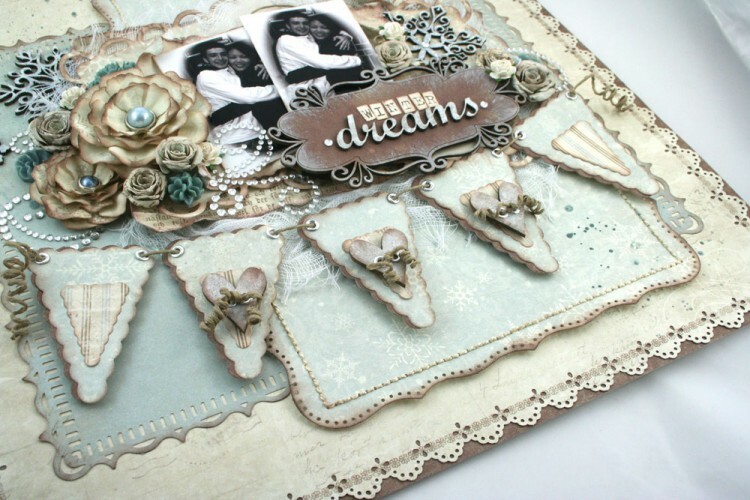 I used the Silent Night collection for this ‘winter’ layout. This is the first time I made a banner for one of my projects! 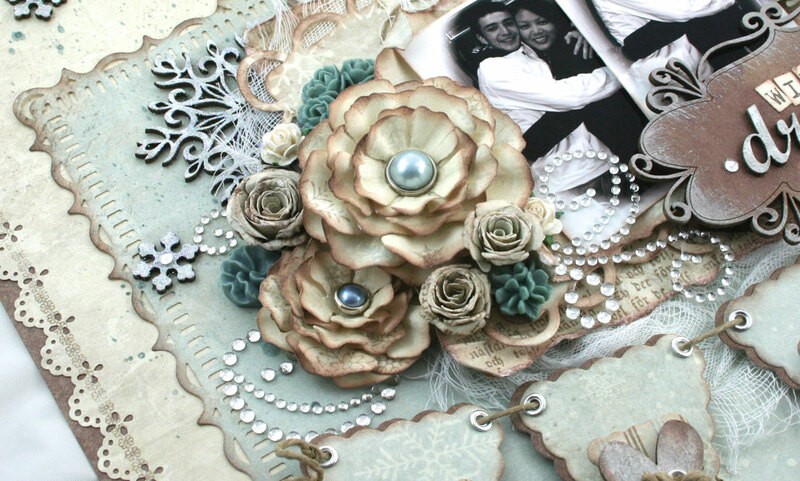 The larger flowers and the Bitty Blossoms were also made from these beautiful papers. 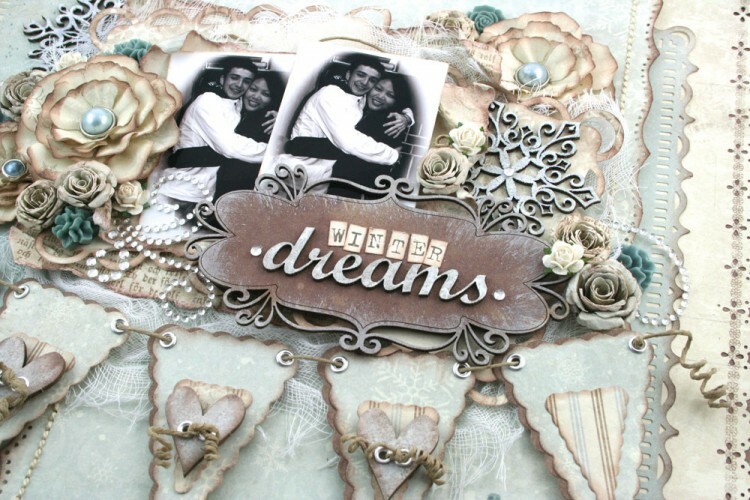 Amei o trabalho de scrapbooking de vocês! Muito lindo !! Maravilhoso…ÚNICO!! Não encontro palavras que possam expressar o quanto é belo.